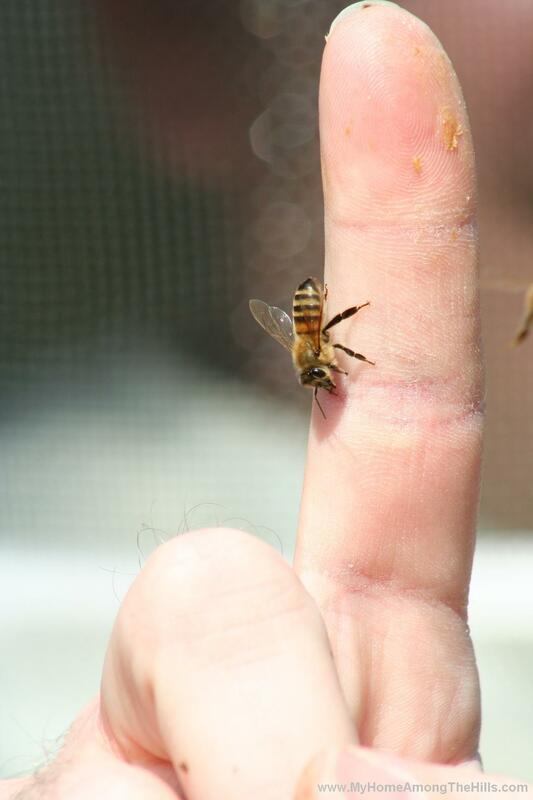 The weather this weekend was incredible so I was able to survey the bees…the other girls in my life. I went into the winter with 10 good hives. I made sure each had around 50 pounds of honey in their top chamber (I run 2 deep chambers for the brood area…where the bees “live”) to get them through the winter. I did my varroa mite treatments (which this year, consisted of 1 treatment of apiguard as suggested by the WV Department of Agriculture). Anyhow, I checked them this weekend and found one completely dead and one very weak. I have a series of funny stories regarding the hive that ultimately died. This hive was at a location in the city. It was started from a package (i.e. a box of bees that comes in the mail…the hardest way to start a hive I think) and was progressing along nicely. The landowner called me one day and said that the hive was destroyed. I went to investigate and found evidence that a bear had destroyed it (a big paw print in the wax gave him away). Anyhow, I collected the bees that remained (including the queen!) and took them to my house. The queen was damaged though so I combined them with a small swarm I collected last summer and hoped they would do well. A few weeks later, we got 75 mile-per-hour winds which blew a rain barrel full of water into the hive which knocked it over. Still, the bees mostly survived and the queen was still laying eggs (the life of the hive of course), though she wasn’t right. Once again, I added some bees and a new queen and tried again. This winter, another wild wind storm came up and blew the hive over and across my yard! I will not be putting more bees in that hive! So, I count that hive as one of the 10 I started with, but it is hard to be upset about their demise! So, anyhow, I got into the hives and the remaining hives are very strong so I anticipate a good year if the weather plays along. I am going to post a bit more this week with some videos and pictures related to beekeeping. Holler if there is anything in particular you want to know about bees or beekeeping and I will try to show some pictures or video to answer. How exciting. Mr Chiots and I attending a Beekeeping seminar this weekend. You may be interested in a company called DewBeeHoney.com. He raises only queens that survive our cold weather and diseases, no treatment at all, totally organic, no feeding, nothing. The ones that survive get bred, he’s trying to breed disease resistant and cold tolerant bees. He sells queens trying to propogate a good race of bees. An absolutly fasinating hobby!But with a mother and sister both having deadly allergies I’ll leave it to you more daring souls to do. The other ladies in your life are gorgeous, I must say. So, what’s this year’s sting count up to now? 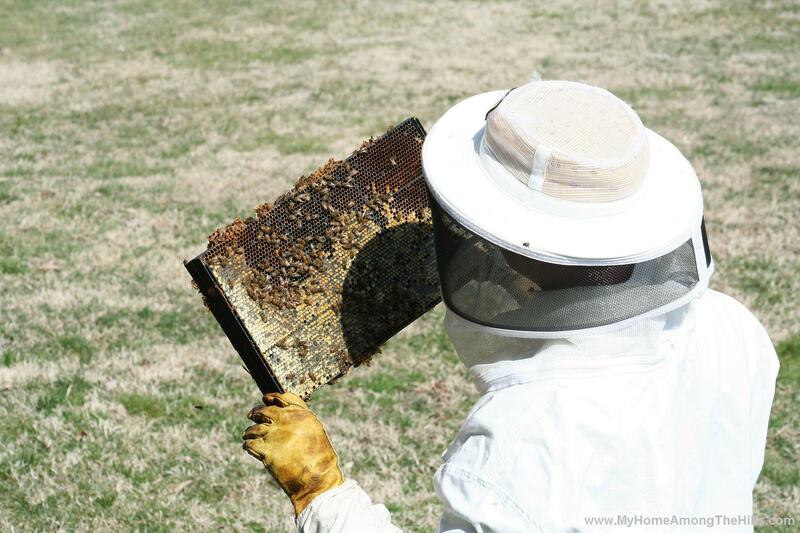 Beekeeping is something I would like to learn more about and perhaps one day give it a try. Hubby is interested as well but he is highly allergic to bees. YDavis’s last blog post..Happy Birthday Sherril! If I were there, I would be running in circles and screaming like a lunatic. Anything with a stinger is not my friend. But, it does seem interesting… from this side of the computer screen. Warren, I want to know a slue about bees,anything you share would be great! Most importantly I want to know how not to be stung. Do we have a sting count yet? You know us ladies want to know the sting count! ETW – I am happy to feed your curiosity through cyberspace! St Fairsted – It’s not too hard to avoid being stung…not 100% of course, but just wearing a suit everytime you get into the bees, wearing gloves, requeening if a hive gets “hot”. I am somewhat more casual about stings. I usually wear a suit and gloves but not always…that explains my sting count. Stings don’t particularly bother me and the suit can get pretty hot so…. you are such a ruthless tease. 1. How does an unfertilised egg become a male bee? 2. The statement you made in the comments about requeening if the hive gets “hot”. What does “hot” refer too? June – You ask the good questions! GW – it’s weird but all male bees start as unfertilized eggs. Bugs are like that! 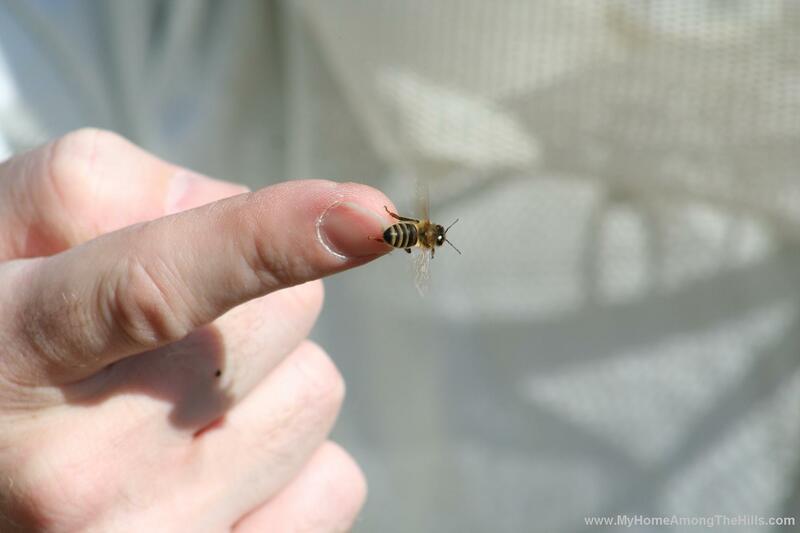 Regarding hot, most hives are fairly easy-going. They don’t sting unless provoked and even if provoked, don’t come out in great numbers. Sometimes, due to nutrition, lack of a queen or bad genetics, a hive will get “hot” meaning that they sting easy and often and are overly defensive. The best way to fix the problem is to introduce new genetics via a young queen…that takes care of two potential problems…you get a young good queen and you have better genetics. hi– i just discovered your site due to the cushaw pies!!! we bought a hive from an area farmer and really worked hard at keeping the hive going!!!???? well—went out one day this summer and the girls were alllllll gone!!!! what do you think happened!!!???? oh–my email address is wendee0713@yahoo.com if you would like to email me–i am not crazeee—i am a mother and wife and a 2nd grade school teacher—i mention the teacher because i have had an FBI background check!!!!LOL!!!! i really am just a normal woman!!! !